A simple fruit crumble is one of my favourite desserts. They’re great to make any time of the year using whatever fruit is in season. During the winter I prefer hot custard with crumble, but in the summer I’d go for cream or ice-cream, as you can see. The advantage of doing these, or any dessert, in individual pots is to save yourself the temptation of dishing up a large portion from a big pot. These ones use gooseberries from a friend’s garden. 2. Top and tail them, and stir in the caster sugar. 3. Place the flour, butter and salt in a bowl. Using your fingers, rub the butter into the flour until the mixture resembles breadcrumbs. 4. Stir the brown sugar into the crumble mixture. 5. 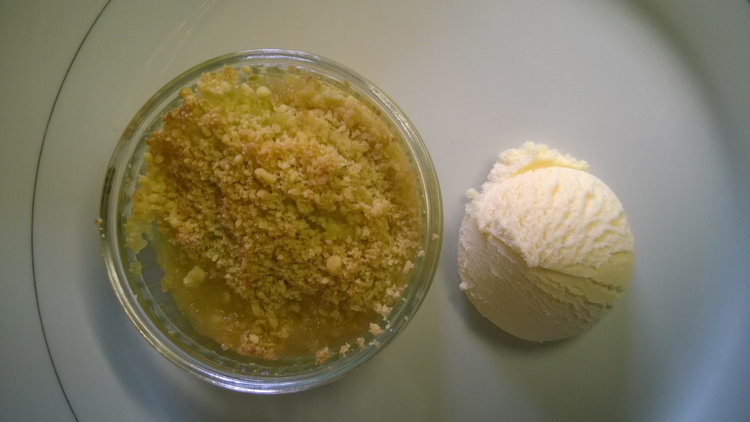 Divide the gooseberries into ramekin dishes, and sprinkle the crumble mixture on top. I thought this would make four pots, but it ended up making five. Not sure why we always feel recipes should result in a even number of portions! 6. Place into a preheated oven 180C/350F for about 25 mins until top is browned and fruit is bubbling up at the sides. I’m salivating, Vanessa. This is scrumptious looking. I can almost smell them baking in the oven. I’ve been busy with my sugarness posts lately haven’t I! Crumbles aren’t that common in the states are they? You tend to have cobblers instead don’t you which are similar but not quite the same. I like gooseberries, they’re not one of the most popular summer fruits, but my Dad used to grow them so they’re a childhood taste for me. 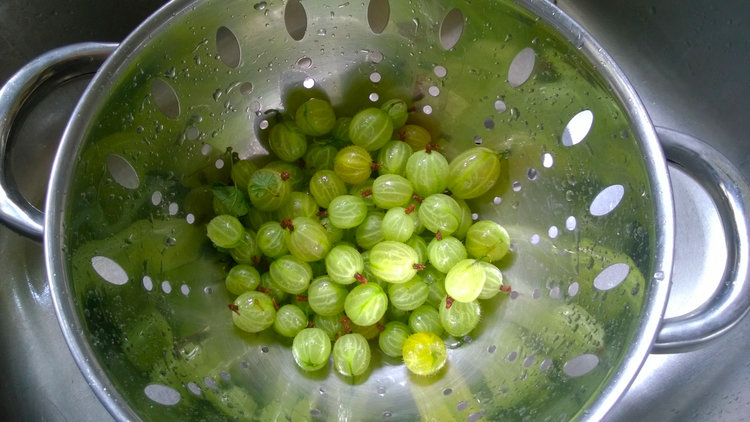 I can’t recall the last time I saw gooseberries and that’s a l.o.n.g. time. Crumbles were more popular in the 50’s and 60’s, I think. Haha, I think as well as sometimes having difficulty separating the two, we’re also aware that a lot of Canadians don’t like to be confused for Americans! I don’t have that much starch in my shorts. I’m flexible. Yum, yum! Would you mind if I copy your photo of the finished product to my Pictures and post it at my Facebook on Friday? 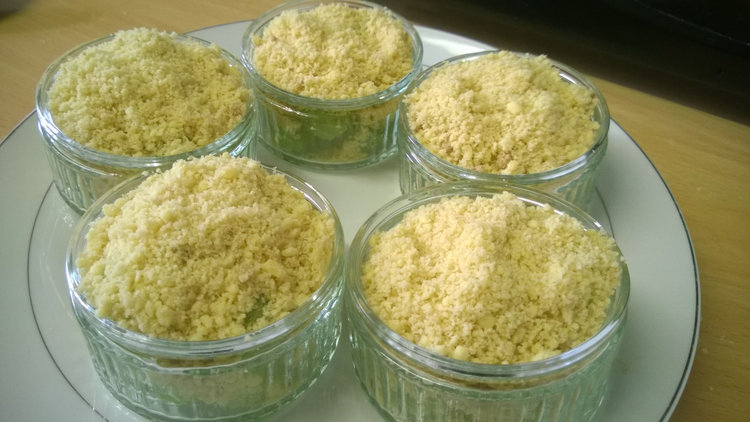 Something called Gooseberry Crumble Pots would be a perfect addition to TermiteWriter’s Birthday Giveaway! I invited you and Neil and I hope you’ll be able to stop by! I’m giving away free books! Thank you! Yes, there will be cake! In fact, you’ll already find one on the event page! And over here we often make apple crisp or apple brown Betty, which are pretty much the same thing. 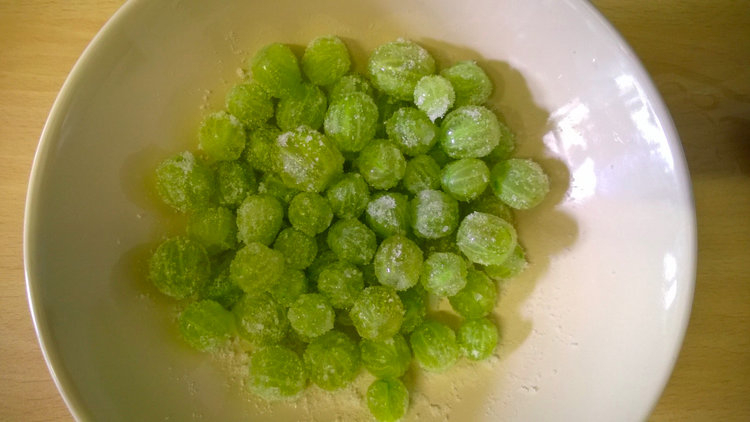 My grandmother used gooseberries when my mother was a little girl, but I can’t remember if I’ve ever eaten them. I was always told that they were very tart! They can be pretty tart which is why they are generally used in recipes with the addition of sugar, but they have a lovely taste! I love fruit cobbler with ice cream, so this sounds wonderful. When the ice cream gets all melty and makes the crumble part all chewy—yum!